Appeals panel questions judge's order to free 17 Turkic Muslims into U.S. 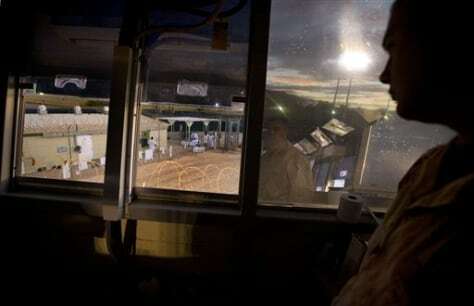 Guards monitor detainees at Guantanamo Bay, Cuba, on Nov. 18. Roughly 20 percent of about 250 detainees who remain at Guantanamo fear torture or persecution if they return to their home countries, according to the New York-based Center for Constitutional Rights.